Fujifilm is no stranger to collaborating with people from other industries, particularly when it comes to its instant cameras. 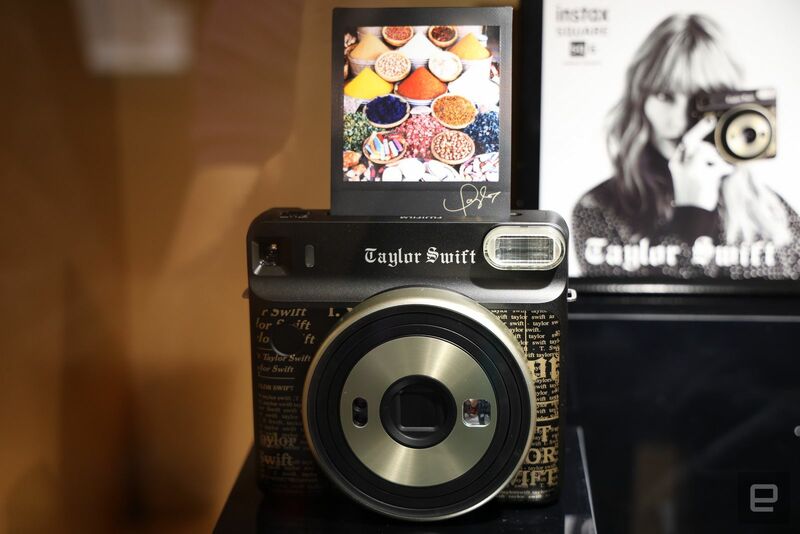 A couple of years ago, the company worked with designer Michael Kors on a special, fashionable edition of the Instax Mini 70, and now it's enlisting none other than Taylor Swift to help it sell its retro cameras. Pictured above is the Taylor Swift Edition of Fujifilm's first analog square-format shooter, the SQ6, which was apparently designed by the pop star herself. 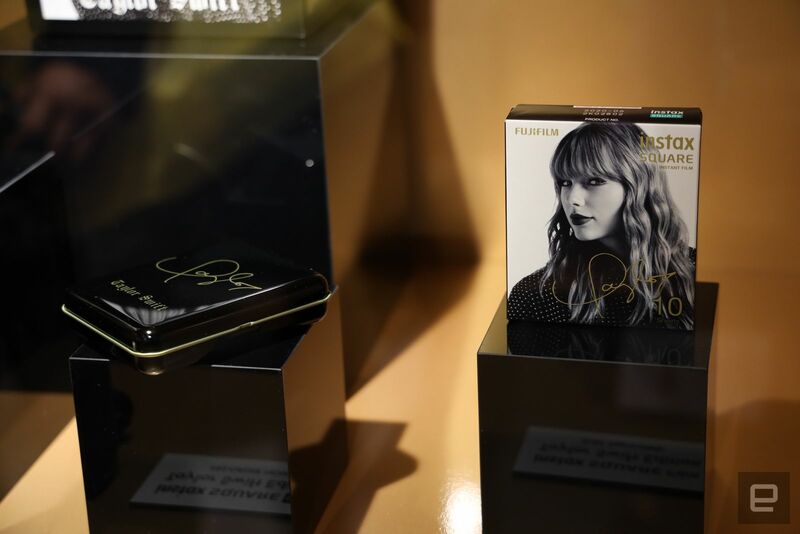 The theme of the camera is inspired by Swift's latest album, Reputation, and it features a dark frame with gold newspaper writings and a "faithful" reproduction of her autograph on the back. If you look at her album cover for Reputation, you'll notice the resemblance immediately. Naturally, since this is a special edition camera after all, it comes with a camera strap and film case that have Swift's name and signature on them -- and her face is on the box, too, just in you want as much of her branding as possible. Unlike the Square SQ20 Instax camera that Fujifilm also revealed at Photokina 2018, the SQ6 doesn't have digital features like a 3-inch LCD screen or a way to add Instagram-style filters to the photos you print on the go. But that's a good thing for people who want a camera that feels truly retro, rather than being half digital. The Fujifilm SQ6 Taylor Swift Edition isn't hitting stores until October 20th, but you can pre-order one now from her site for $180. And now you know Cristiano Ronaldo isn't the only A-list celebrity willing to be a shill for a tech company.